Love working with Chuck Joiner. It’s great to record these podcasts, and always have a blast hanging out with Chuck. 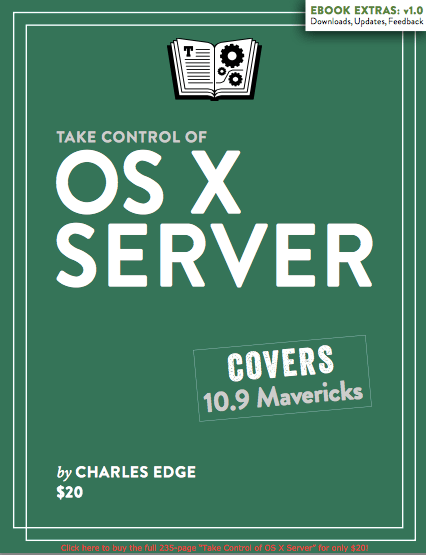 This episode is covering my latest book on OS X Server. Stoked to get the chance to do this again! To check out the book, click here! I started working at JAMF a little over a year and a half ago. And one of my favorite things about the on boarding process here is the emphasis on continuing education that was handed down to me. I was given two books to read on my first day. Then, during my get-the-cool-aid on boarding (aka Zero Month), I had a couple of pretty rad JAMFs go through a list of books they felt were essential and review the books from my first day. Theeeen, I had meetings with Co-Founder and CEO at the time Chip Pearson, where he would stop meetings and order me books. It was a book nerd’s heaven I tell ya’. And like other heavenly nerd things, I thought I’d share it with you here. So here’s 25 good business books that I either read or re-read since I’ve been here (in no specific order): The Blue Ocean Strategy. This book outlines a specific market condition they call a “red ocean”, which is when a market is so saturated that the players in that market start to drop prices and engage in cut-throat tactics. The premise is that rather than entering a market with the same product that everyone else has, you might as well look for a different market. I’ll expand this and say a different market segment as well. It’s a delightful and quick read. Very interesting little book, and much more business than you’d think given the tone (which makes the prose easy to get through). The Idea Factory: When I was in college, I wanted to lead R&D at Bell Labs. Or Xerox. This is the story of Bell and all the breakthroughs and ideas they came up with. It’s a fantastic little book. And a must-read for those who want to play the innovation game. Startup CEO: There are so many things that a lot of books on how to start a business, or write a business plan, or go get VC don’t cover. This is really a tacticians look at starting a company or business unit. It’s concise and easy to read, with real life examples and tons of things that I’ve seen first hand. I’m not sure you can truly appreciate it until you’ve been there a couple of times, but if you have it’s great to know you’re not the only one! Who Says Elephants Can’t Dance: Before IBM was a juggernaut, it was a juggernaut. But between those two stages, IBM was in serious peril. Then Louis Gerstner came and changed what IBM was, how IBM operated, and helped to turn them into a new kind of awesome. When he retired, he wrote this book. While it’s part euphoric recall, anyone who wonders WTF in big companies should read this book. I think it helped me better understand why some of the things that used to frustrate me happen, and understand more about what it takes to run a truly global organization. Getting Naked: This was a pretty weird business book. Because it was written like a piece of fiction. I appreciated the change-up after a year of reading so many books on business. The thesis is really that you should be in touch with yourself and your clients in a very Jerry Maguire way. It’s simple, but an easy read with a few really good points to take away (such as not to scoff at the competition when they do seemingly hippy things). Guerilla Marketing Weapons: 100 tips on getting more out of marketing. ‘Cause who doesn’t want that? If you read this, keep a notepad handy. It’s got a lot of basic, easy things. But it’s got a lot of ideas that you’ll want to capture while they’re fresh as well. Notes to a Software Team Leader: This book is about self organizing teams. ‘Cause developers don’t need managers as much as we seem to think. But they do need structure, like all teams. Trust Me, I’m Lying: PR gone wrong. There’s a lot of great tips in this book from a “don’t do this” standpoint. Euphoric recall as a teaching mechanism. The dark side of PR. Crossing the Chasm: This book is about how some tech companies go mainstream (and uber-profitable) and how some just don’t. There is a chasm between early adoption and mainstream. Why? How do you keep from getting caught in it? Great items this book does a great job covering. If you’re in the startup/innovation/tech scene, you simply have to read this book; it’s a classic. The Art of the Start: Another classic (one I wish I’d of read years earlier), Guy Kawasaki takes aim at startups, looking to secure VC or bootstrap. Lots of great tips. Lots of good stories. From a veteran of the startup community, just without the grizzled aspects many of the veterans can get. Enchantment: I’m just gonna’ throw in another book. This one tells the story of how Kawasaki got his start at Apple and has some parallels drawn between his time in the jewelry industry and marketing. It’s a good book. If you only have time for one of his books, read Art of the Start. If you have time for two, get Enchantment. The Icarus Deception: Play it safe? Listen to the smart people? Sure. Don’t fly too low either. But make your own way. It’s a great title from Seth Godin. And check out his blog here. Ideas Are Free: This book caused me to setup meetings with people who would never think of tag lines and other creative items. I had mixed results, but it was abso-frickin’-lutely worth it. Not only do non-creatives have lots of good ideas, they also have lots of great responses to being included. Delivering Happiness: How does Zappos end up with such a fanatical fan base? Support. If you’ve ever returned something to Zappos, you know what I mean. Everything about shopping there is a great experience. Not everyone can expend the resources they do, as support isn’t as integral a part of their strategy as it is at Zappos. But there are lots of The Innovator’s Dilemma: The thesis: there are waves of innovation and you have to keep releasing disruptive tech to stay on those waves. If you listen to customers too much, you might miss out. If you don’t go downmarket eventually someone else will. If you don’t read this book, you won’t get all these fantastic tips. The Lean Startup: Fail fast. It’s a good thesis to a book. Don’t fail too fast. I think they forgot to tell you when the breaking point is. But there are lots of stories and tips in this book that can help any fledgling product or business. And it’s well worth the time and money. Probably my second favorite book on the list. Rework: Why schedule a 60 minute meeting when a 15 minute meeting (er, spike) will do? Lots of great little tips in this book from the people behind 37 Signals and Ruby. Rookie Smarts: Liz Wiseman loves putting newbies into roles and seeing how they do. And she’s had success at it. In this book, there’s a bit of a simplistic approach to that (not everyone can sit in every chair in a growing company). But the most important aspect of this book is that she defined a few types of people or places in life that “rookies” are and how you can engage those specific groups best. this was probably my favorite part of the whole book. Keeping Up with the Quants: Stats for marketing professionals. Unlike many of the books where there’s a thesis and then a lot of proving the thesis, this one is more of a longer collection of definitions, simple statistical formulas, etc. Marketing In The Age Of Google: The general thesis of this thing is that content is king. Write a lot of good stuff that people want to link to and your product will get natural listings that are hard to displace. There’s other good little tips here and there, but that’s the key message. There, saved ya’ some time. 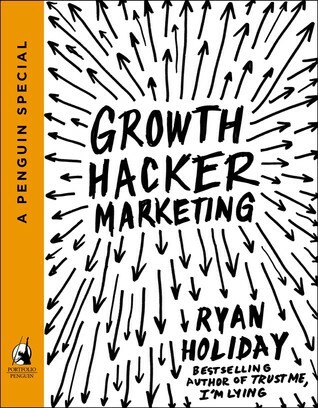 🙂 Growth Hacker Marketing: This is my favorite book on the list (like I said, no particular order). A fresh, interesting, cool, personal approach to getting your product branding in front of people. Some ideas cost a little. Some cost a lot. It’s great stuff. A must read in my humble opinion. Traction: A bit of a slow paced book, but (pun intended) it gains traction as it goes. The Entrepreneurial Operating System is a bit much for me. But when explaining it, there are a lot of really amazing lessons that you have to learn. Some you learn the hard way, some you learn in this book. Permission Marketing: Another Seth Godin book, this one focusing on using surveys, samples, contests, sales, and other marketing techniques to get in front of customers. The Purple Cow isn’t on this list, as I read it a long time ago. If you haven’t read it, check it out. If you have, check this out. The 22 Immutable Laws of Marketing: Things to do and not to do when marketing. Don’t send too many emails. Don’t send things that people don’t care about. But the most important part of this book, and pretty much the central thesis is to match with forces in the market. If you don’t do that, you won’t be able to get in sync with what customers want and how to grab their attention. Managing Humans: We were excited when Michael Lopp, who wrote this book, joined the board of JAMF Software. In part, it was because Zach (co-founder of JAMF) and I both hero worshipped his writing. This is a great book, and his blog is great as well! My 14th book, The second edition of the Mac Administrator’s Guide is now shipping. This was a big, big rewrite, given the fact that the first edition was before the App Store, Gatekeeper, and many, many other technologies. You can buy this book here! Also, huge congrats to Bill Smith, for publishing his first book, and most notably for doing so much amazing work on this book! Finally, we’re editing the second and third books I did this past summer right now, so look out for those announcements shortly! The chapters from my upcoming Take Control book keep rolling into the TidBits website. 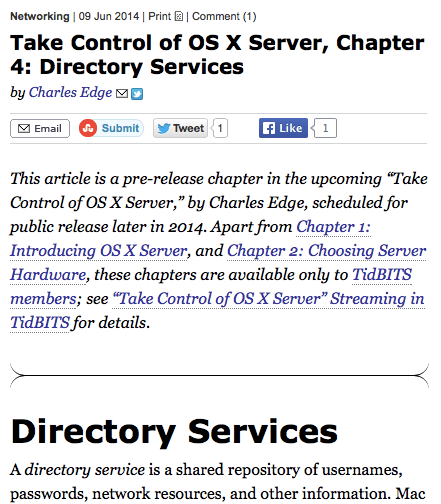 The next installment is Chapter 4: Directory Services, which can accessed at http://tidbits.com/article/14821. Hope you enjoy! Will post a few more things soon. Thanks! When I was in college, at the end of each semester we’d go to the book store (you know, that place that fleeced us with $100 used books) and we’d sell back those books for about one tenth to one quarter what we bought them from. We’d then use that money to help fund one of our books for the next semester (or beer). Well, Amazon is doing something similar now. Although it has to do more with when new editions of the book are released. Each edition of a book allows you to trade the book in for new editions. 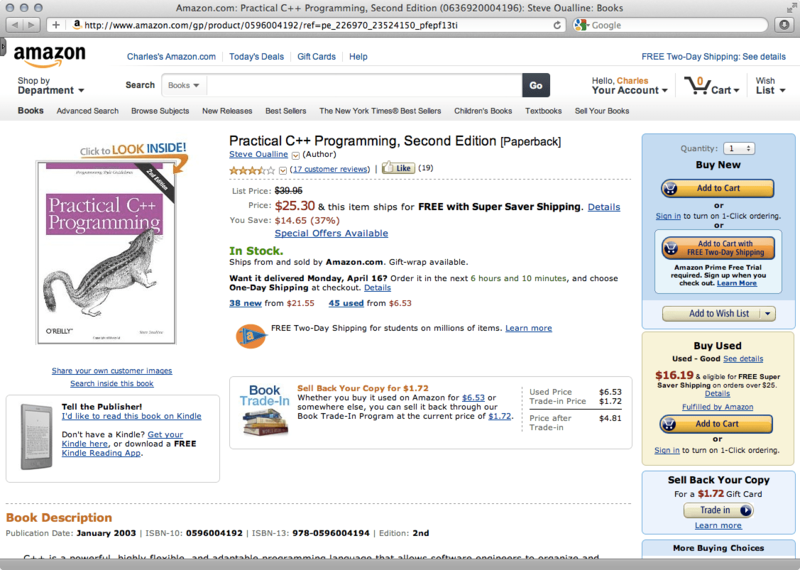 Take Practical C++ Programming, from O’Reilly. Apparently I bought the chipmunk book at some point. In fact, considering the fact I can see it on my shelf from where I’m sitting I am certain of it (unless I am hallucinatin’ again – in which case I would really hope for something better than a freakin’ tech book). When I go to the page for that book on Amazon, they know I bought it (they sold it to me after all) and they’re kind enough to offer to buy it off me for about a buck and a half (about 1 / 20th what I bought it for) and sell me the new edition for about $25.30 (or $6.53 used). I know I’m poking at this just a little bit, but that’s just because it makes me think of college. I honestly think it’s a really great feature. There are so many options for things like books and this is just another that will keep me going back to Amazon! The last book (far right, Enterprise Mac Managed Preferences) is fresh, exciting (to me at least) and unique in that it is the most comprehensive information regarding managed preferences you can find. Management en masse of Mac OS X is very lucky to have this compendium. If the chapter in our Enterprise Integration book left you wanting more information about managed preferences then this book is for you!